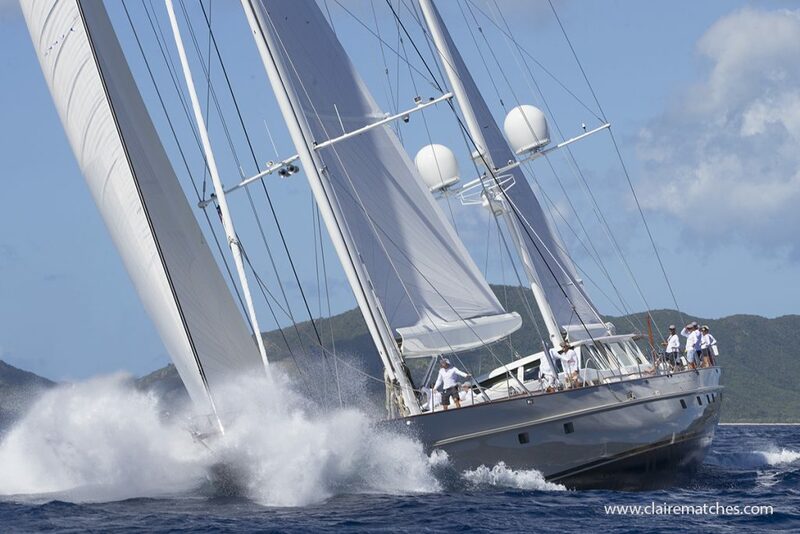 The second day of the Superyacht Challenge Antigua had all the hallmarks of spectacular racing. The magnificent fleet enjoyed exhilarating conditions on the south-side of Antigua with brilliant sunshine, solid breeze and a good sea state. With all but one of the magnificent fleet measuring well over 100ft, boat handling was at a premium, as the superyachts performed at full throttle in the Caribbean sea. Principal Race Officer John Coveney chose a shorter course for the Buccaneers with seven legs, approximately 22nm. The Corsairs had a longer course of ten legs, approximately 32nm. 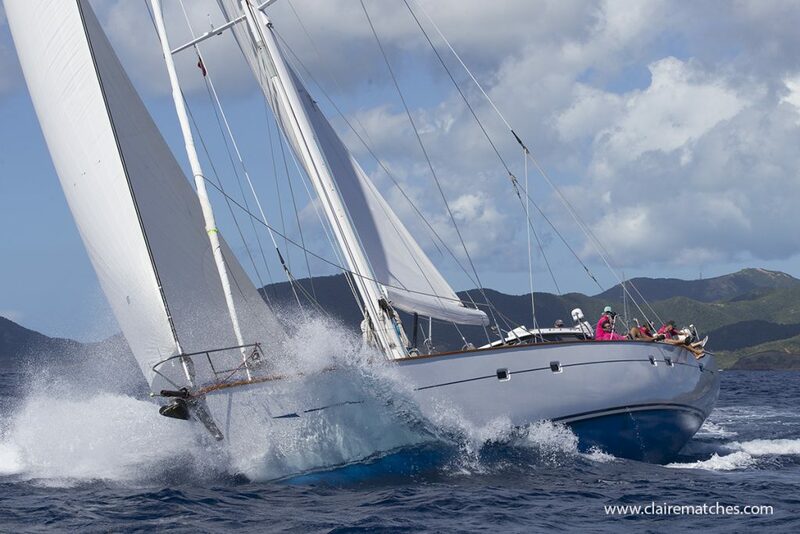 In the Buccaneers Class, the 112ft (34m) Sparkman & Stephens sloop Kawil scored their second bullet of the regatta. 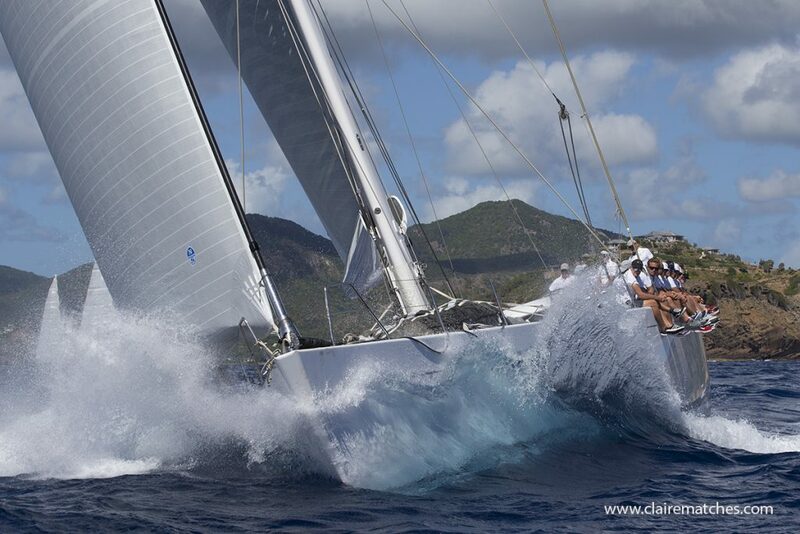 The 148ft (45m) Dubois ketch Catalina timed their start close to perfection but finished the race 8 minutes behind Kawil after ORCsy time correction. John McMonigall’s Oyster 82 Zig Zag, by far the smallest yacht in the fleet, was third. In the Corsairs Class, the 112ft (34m) Reichel Pugh sloop Nilaya, driven by Filip Balcaen had another day of close racing, eventually taking their second race win after ORCsy time correction by just 86 seconds from the 112ft (34m) Frers sloop Spiip. The 140ft (42m) German Frers ketch Rebecca was in the battle for first place, but a problem with a spinnaker drop put them back to third. Spiip’s navigator Campbell Field knows all about the intensity of grand prix short-course racing in the 52 Super Series and the FAST40+ Class, and he has been racing on the 112ft sloop for 15 years. The famous Cook Off has always been a feature of the Superyacht Challenge Antigua. The Super Yacht Dock Beach in Nelson’s Dockyard becomes an open-kitchen for all of the teams to show off their culinary skills, all with a fancy dress theme. 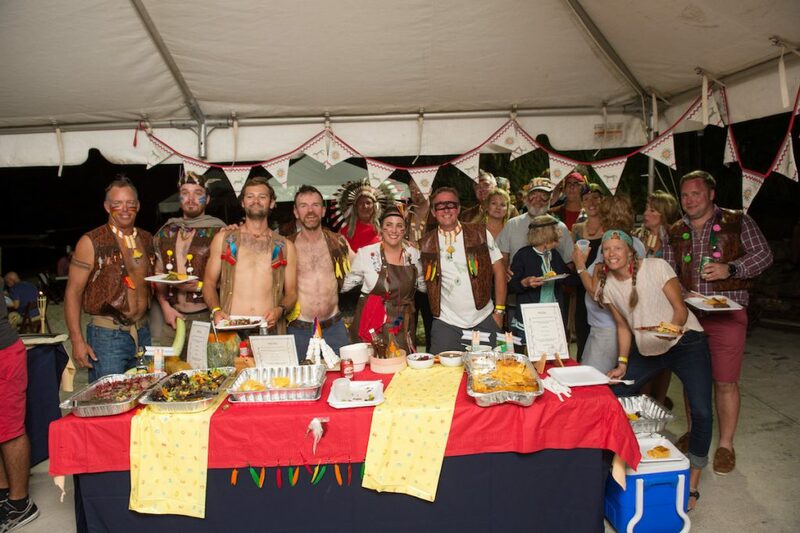 The Cook Off revolves around one dish cooked on a Caribbean Coal Pot, but the crews go much further providing a vast array of food for the party to enjoy. 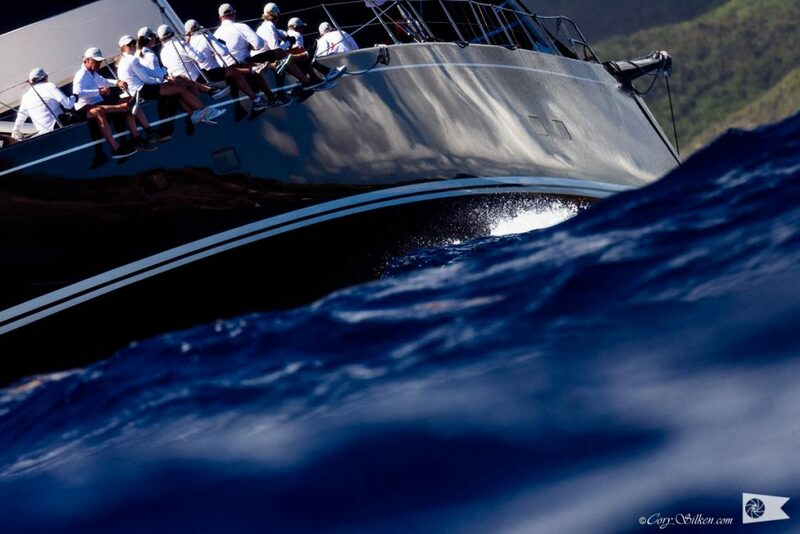 Racing is scheduled to continue on the third day, Saturday 2nd February, with more spectacular action for the magnificent superyachts in Antigua.